As SXSW winds down this week, heed my advice. Whatever you do, don't move to Austin. I'm serious. Put down that Forbes article that recently named it the No.1 boom town and go back to shoveling snow, or filling out your state income tax returns or listening to your disembodied, recorded music. 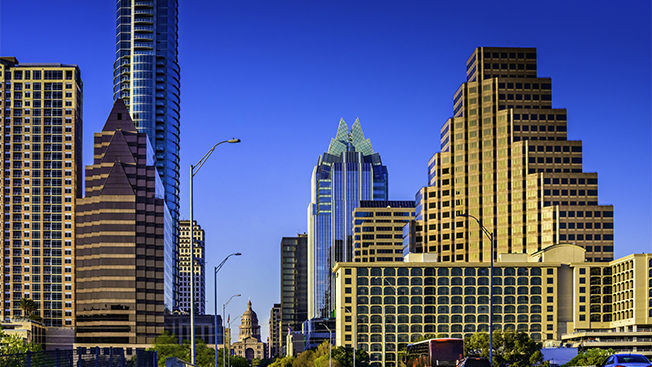 Ignore everything you hear about Austin having one of the most educated millennial populations in the U.S. Forget about the double-digit growth rumors. And who really cares if income growth here is way better than the national average? Money can't buy happiness, right? Never mind that the University of Texas at Austin has world-class programs in bioengineering, nanotechnology, bioinformatics and pharmaceutical research. And that the newly opened Dell Medical School—complete with a teaching hospital—is enrolling its first class of future doctors, researchers and medical superheroes. I'm sure it will fail miserably just like everything else in Austin. And I haven't even mentioned yet how crowded and congested this town has become with innovative life sciences companies. You can't throw a breakfast taco without hitting one. Nearly 200 in all. Bringing with them jobs in biotech, diagnostics, medical devices, R&D, pharma and healthcare marketing. It's a real cluster. I mean, robotic surgery and proton therapy are pretty cool but with all this advancement, who's going to believe me the next time I call in sick? Thanks, science. And then there's SXSW. Nothing like trying to match your wits against the infinite cognitive powers of a super-robot—or someone with the brains to build one—to make you feel average. But that's cool. I can grip and turn a doorknob like nobody's business, which is more than most robots can say. And in a post-apocalyptic zombie world where big, juicy, brains are in high demand, I just might fly under the radar. This year at SXSW I got to hang out with the geniuses at the MIT HackMed Health House that was hosted in part, by HCB Health, the healthcare advertising agency that has anointed me creative director. It's being heralded as an immersive experience of "human-centric problem solving." In essence, it's about asking the right questions, drilling down to a powerful insight and then building and testing—in real time—prototypes that can help people living with chronic diseases overcome the challenges they face. This is pretty exciting stuff. But for all you healthcare folks out there, you know the hazards of an elevated heart rate. So please, for your own health, don't mistake my enthusiasm as a recantation of my warning for you to stay far away from Austin. Inevitably this essay is going to have an unintended paradoxical effect on some of you. It may start as a crazy idea, as it did for me. A serendipitous meeting at an awards show, maybe. You'll consider giving up your nice, cushy, secure job to try something more experimental, unproven, unpredictable. That's how it begins. Next thing you know, you're crossing the Appalachian Mountains, stopping for a selfie at the Johnny Cash Rest Area in Dickson, Tenn., continuing across the mighty Miss and rewarding yourself at the Texarkana border with the best brisket BBQ you've ever sunk your teeth into. And before the day is done, voila, you're in Austin, sipping a local craft beer with a skyline of cranes on one side, a lake on the other and an adventure smack dab in front of you. This is my story. But with a few tweaks, it could be yours as well. So make your move. If you dare. 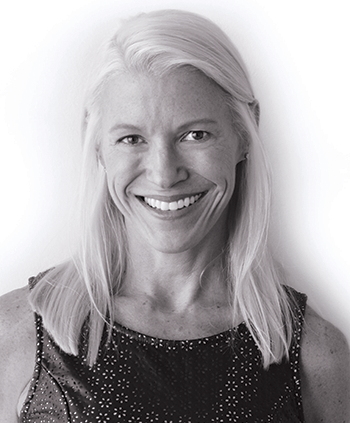 Amy Hansen is senior vice president and creative director for HCB Health.